Fifty-two percent of Kentucky manufacturers say they plan to hire between one and 19 employees in 2013, according to the recently conducted 2012 Annual Manufacturing Wage and Benefits Survey. Ford Motor Co. added some 1,300 workers last fall when the company added a third shift at its Louisville Assembly Plant, where it is producing the new Ford Escape. The survey showed that the positions of manufacturing employees included in the survey made an annualized average of $47,486 in 2012. Most companies that responded to the survey – 94 percent – offer health insurance to their employees, while 92 percent of those cover family members as well. Questions about benefits showed that 79 percent of the companies provide nine or more paid holidays per year and 55 percent provide an annual bonus. Sixty-four percent of Kentucky manufacturers surveyed are emphasizing education and training in green practices, such as reducing their energy use, making environmentally friendly products, reducing pollution, conserving natural resources and being more cost effective. That number is up 10 percent from 2011. New green products are being developed by 32 percent of the companies. About 73 percent of the employers currently use temporary staff – as compared to 67 percent in the last report – and 45 percent of the employers plan to maintain that level. 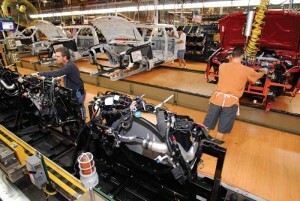 As of March 2012, Kentucky’s manufacturing sector employed about 217,338 people. Preliminary U.S. Department of Agriculture reports indicate that Kentucky farm cash receipts for January through September totaled $3.6 billion, 10 percent higher than 2011’s record level for the same period. 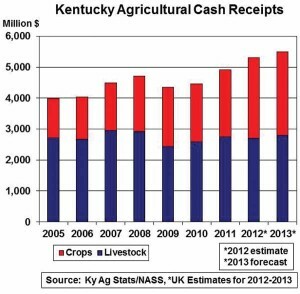 Despite weather impacts on yield and high feed costs, agricultural economists with the University of Kentucky College of Agriculture foresee 2012’s cash receipts in the state will total $5.3 billion. Will Snell, of UK’s Department of Agricultural Economics, said reports show high returns in corn, cattle and tobacco and improvements in the equine sector. Despite significant yield losses, corn receipts for 2012 will continue to rival poultry as Kentucky’s top agricultural enterprise. It’s been 10 years since Kentucky growers started to concentrate on diversifying and developing the state’s horticulture industry and UK experts say the industry has seen steady growth through a difficult economy. Two technology companies have announced plans to establish their headquarters in downtown Louisville, creating 100 new jobs. Indatus and Mocura, both owned by ICIM Corp., are moving their businesses from New Albany, Ind., to a renovated historic building on East Main Street in Louisville, where they will establish a tier-2 data center with a full network operations center. The property, which is registered as a historic building for art deco design in Kentucky, was the original headquarters of Four Roses Bourbon, has been home to the Miller Paper Co. and most recently housed Bridges and Smith Paint Co. The renovation of the historic site, which is often touted as the “Gateway to Whiskey Row,” will include refurbishing 9,000 s.f. on the first floor that will be available for lease to a retail or restaurant space and the renovation of 9,000-s.f. of basement space. The project is expected to be complete by late December 2013. Indatus is a 22-year-old, privately held company that has products that have been in the “cloud” for more than 10 years and are leading the way in cloud-based technologies, software and communications systems. The company currently has more than 8,000 customers across North America, ranging from small businesses to global Fortune 100 companies. Mocura is an 18-month-old sister company to Indatus and covers three areas of products and services that are solely focused on enterprise-level apps and data gathering. The company’s market-ready mobile applications, custom-developed mobile applications and mobile device management tools utilize existing SaaS cloud architecture to manage data. Mocura grew more than 1,000 percent in the past 12 months and is quickly becoming a major player in the rapidly changing mobile business process arena. According to The (Louisville) Courier-Journal, salaries for the new jobs will average around $45,000 to $50,000, with software engineers and network technicians making between $60,000 and $70,000. Alltech is planning to invest $80 million on two expansion projects in central Kentucky. Dr. Pearse Lyons, Alltech founder and president, told a group of business leaders about the plan at a recent breakfast at Alltech’s Lexington Brewing and Distilling Co., the first stop on Commerce Lexington’s Kentucky Regional Tour, a two-day event that showcased the success of the region’s agri-economic sector. 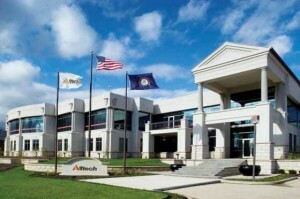 Alltech is planning a $40 million expansion of its global headquarters facility in Nicholasville. Alltech will spend $40 million to expand the brewery and distillery, and will invest another $40 million to expand its global headquarters in Nicholasville, Lyons said. Alltech is a leader in animal health and nutrition and is among the top 10 animal health companies in the world. The company recently launched a $2.5 million research alliance with leading universities and academic research institutes in China, which currently ranks as the largest feed market in the world. Alltech is now putting “unprecedented resources” into China, including transferring one of its senior vice presidents to the country earlier this year and sending another senior vice president there on a monthly basis. General Motors has hired 170 temporary workers at its Bowling Green Assembly Plant, where it is gearing up to launch the next-generation Corvette. The workers will be used on a short-term basis – from four to 18 months – and will allow the current crew to take needed vacations and other time off before the launch of the 2014 Corvette. The seventh generation of the iconic sports car will make its debut Jan. 13 in Detroit, with production slated to begin around the middle of the year. GM announced in October that it would stop production operations at the 31-year-old plant in February to allow for the necessary retooling and renovation of the body shop and retraining for employees. The company said that continuing production during the retooling and renovation was not feasible due to the drastic differences between past Corvettes and the upcoming model. In fact, only two parts currently used will carry over to the new model. Plant Manager Dave Tatman told The (Bowling Green) Daily News that the temporary workers will work 40 hours a week, with the potential for overtime. Tatman said the plant has already brought back workers who were laid off during the worst of the recession due to slow sales, and plans to hire at least 100 more people who have been laid off from other GM plants. LG&E is moving forward with environmental upgrades at its Mill Creek Generating Station in southwestern Jefferson County, a $940 million project that will create some 700 construction jobs. The Mill Creek Generating Station in Jefferson County is one of four LG&E/KU facilities that will receive upgrades to control emissions. The Kentucky Public Service Commission requires state utilities such as LG&E and KU to produce energy at the lowest cost for customers. Coal has historically been the lowest-cost method to generate electricity. 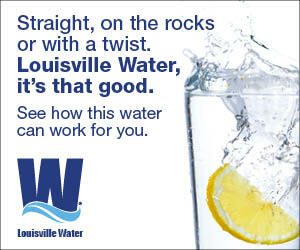 However, that is not always the case because of stricter EPA regulations, LG&E and KU said. Mill Creek, along with three other LG&E generating stations, will be upgraded with modern technology, ensuring LG&E and KU continue to use Illinois Basin coal to provide electricity to Kentucky customers. 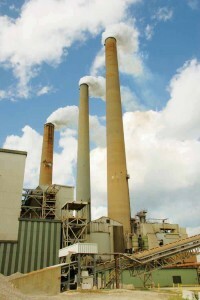 The new equipment, which includes scrubbers on all four units at Mill Creek, will further increase the station’s ability to control sulfur dioxide emissions from current levels (around 90 percent) to a more than 98 percent removal rate. New fabric filter baghouse technologies will be installed on all four units to remove mercury and fine particulates. The upgrades are expected to be complete by 2016. Kentucky is among 16 states that have partnered with a research and development organization to create a national network dedicated to transforming science, technology, engineering and math (STEM) education in the United States. Cutline: Lexmark International President and CEO Paul Rooke, left, and Ashland Inc. Community Relations Manager Daryl Love were among the Kentucky business leaders who met last fall to support Kentucky’s involvement in the STEMx network. 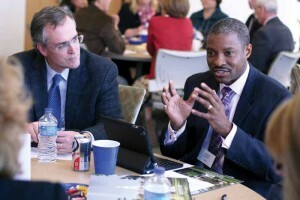 In conjunction with Battelle Memorial Institute, the world’s largest nonprofit research and development organization, Kentucky STEMx is working to connect education, business, government, philanthropy and the community to impact STEM education and workforce development. Kentucky – like most states – has multiple STEM-related centers and programs, but they usually operate apart from one another.  STEMx is designed to recognize the work being done by the individual programs while connecting them with each other to create a shared vision. The new network provides a comprehensive support system for school districts participating in the UK College of Education’s Kentucky P20 Innovation Lab, providing them with the ability to share STEM education ideas and practices across the state and within a national network. 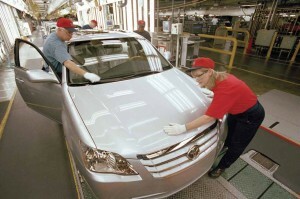 In addition to Kentucky, the other states participating in STEMx include Arizona, California, Colorado, Idaho, Michigan, New Mexico, New York, North Carolina, Ohio, Oregon, Pennsylvania, Tennessee, Texas, Washington, and Washington, D.C.
Toyota Motor Corp. has implemented a retirement incentive program to help manage the company’s attrition rate over the next few years. Because the company hired so many people at once when it started its U.S. operations in 1988, a large percent of the work force will soon be eligible to retire. In order to manage the retirement rate and give the company time to train employees to take their place, Toyota is offering an incentive to eligible employees if they will agree to retire at set intervals. Approximately 25 percent of the 6,600- member work force at Toyota’s Georgetown plant will soon be eligible to retire. The Next Step Program is open to nearly 2,000 Toyota workers in the U.S. who have at least 22 years of service as of March 31, 2013. Some 1,600 of those who are eligible are located at Toyota’s plant in Georgetown. Those who agree to enroll in the program will receive two weeks of pay for each year of service (up to 25 years) and an additional eight weeks of pay. The program is set up to have retirements spread out over the coming year, beginning in February. Subsequent dates have been set for May, August and December 2013, and January 2014. Toyota plans to fill all positions left open because of retirements. A new area code in western Kentucky will occupy the same geographic area as the current area code 270, the Kentucky Public Service Commission (PSC) announced last month. The overlay option for area code 364 is the least disruptive and imposes the smallest cost on businesses in the area, the PSC said. This is the first area code in Kentucky created by an overlay. Area code 270 was created in 1999 by splitting area code 502. That means an area code must precede the seven-digit phone number for all local calls within the 270 area code. Long-distance calls within area code 270 will require dialing 1 plus the area code plus the number, like any long-distance call outside the area. Public comments received in the case overwhelmingly favored an overlay. The other option was to split area code 270 and designate a portion as area code 364, with both landline and wireless customers in the affected portion required to change their area code as a result. Comments from the business community noted that a split would force businesses in the area receiving the new area code to change printed materials, signage and anything else bearing their phone number. The University of Kentucky has deployed a new $2.6 million, high-performance supercomputing cluster in partnership with Dell Inc. 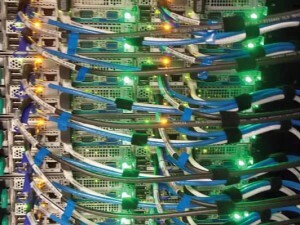 The cluster is more than three times as fast as the one it replaced, with a theoretical maximum of just over 140 teraflops (140 trillion mathematical calculations per second). The cluster contains nearly 5,000 central processing units and 48 high-performance graphics processing units. In addition, the university has received a $1 million competitive “cyber infrastructure” grant from the National Science Foundation to advance research through software-defined networking. Software-defined networking revolutionizes the way very large data sets are shared and enables better utilization of remote computing resources while improving data integrity/security and expediting research. Researchers at UK use cyber infrastructure in a diversity of disciplines, including drug design, materials genome, land use management, nanoscale materials, and the biochemistry of renewable fuels.